Oregon Evergreen Inc. . . .
is in transition. Since 1984 we have been a Christmas tree farm company. This year, with our inventory plus agricultural labor drastically declining, we have decided to transition out of most Oregon-grown Christmas trees. Please go to Christmas Trees for details. We will continue our wreath making at Willamette Evergreen. Willamette Evergreen . . . . Started in 1985 packaging forest grown evergreen boughs and producing a full line of craft products that consumers enjoy using to decorate their home in December. Wreaths, garlands, table centerpieces, table top Christmas trees etc. 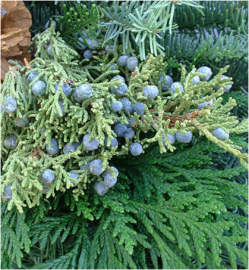 say to people, “Welcome Home.” We use boughs from Noble firs growing in the Cascade Mountains. Our pruning of forest trees provides the raw materials for our program and stimulates the forest trees to grow clean and vertical in the spring. Win-win. Our customers include some of the largest chain stores to the smallest fundraiser youth groups. Packaging-Racks-Bins-Boxes-Bundles – we cover them all. Oregon Green Moss. . .
At Willamette Evergreen we have branched into packaging another crop – Oregon moss growing in our Oregon rainforests. 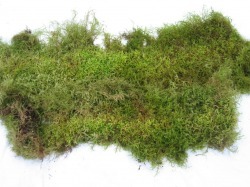 Florists and Greenhouse nurseries have learned that an inexpensive way to keep the soil for their plants cool and moist is to make good use of the properties of plants known as nature’s sponge – varieties of moss. They hold water in their tissues far longer than soil itself.